When you walk down the aisle of a big box home improvement store, you'll inevitably see a bin full of LED mini-flashlights that sell for a few bucks each. The first time I saw these I thought "how handy these would be around the house." So I pick up a few. When one is needed it puts out enough light to maybe avoid tripping outside...if there aren't any holes or other hard to see obstacles... because that light is not going to reveal much. So I got this OxyLED MD20. It's tile says "Super Bright". That is an understatement. I turned it on side by side with the other mini-flashlight and the comparison was hilarious. Think Paul Hogan with Australian accent saying "That's not a light." Then pulling out his OxyLED, turning it on in its blinding splendor and saying "That's a light." This little light outshines most of my full size flashlights. The head of the light can be pulled out and in to adjust the light's focus. It's tight to get pulled open but then works smoothly. 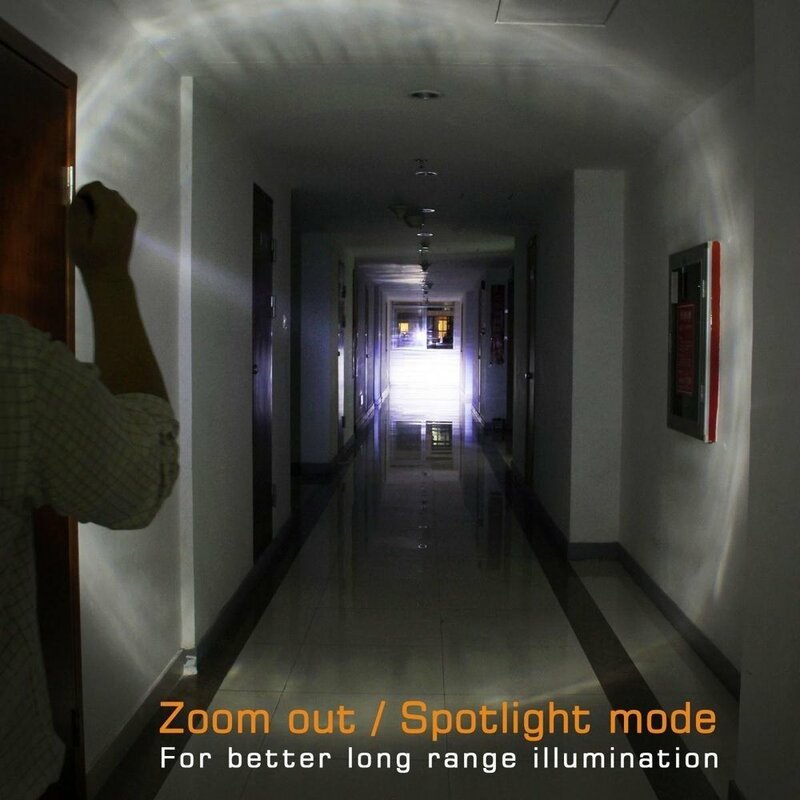 The single button is multipurpose: on/off, low light, high light, flashing light. Toggle between these functions by partially pressing the button. A bit tricky but not hard. My bin lights can't do this. The OxyLED construction is solid. Even water resistant (probably not to be immersed). With crenulations on the light end, this device could also serve as a defensive weapon. It comes with a handy pocket clip not found on the aforementioned bin lights if you'd prefer not carrying it in your pocket. 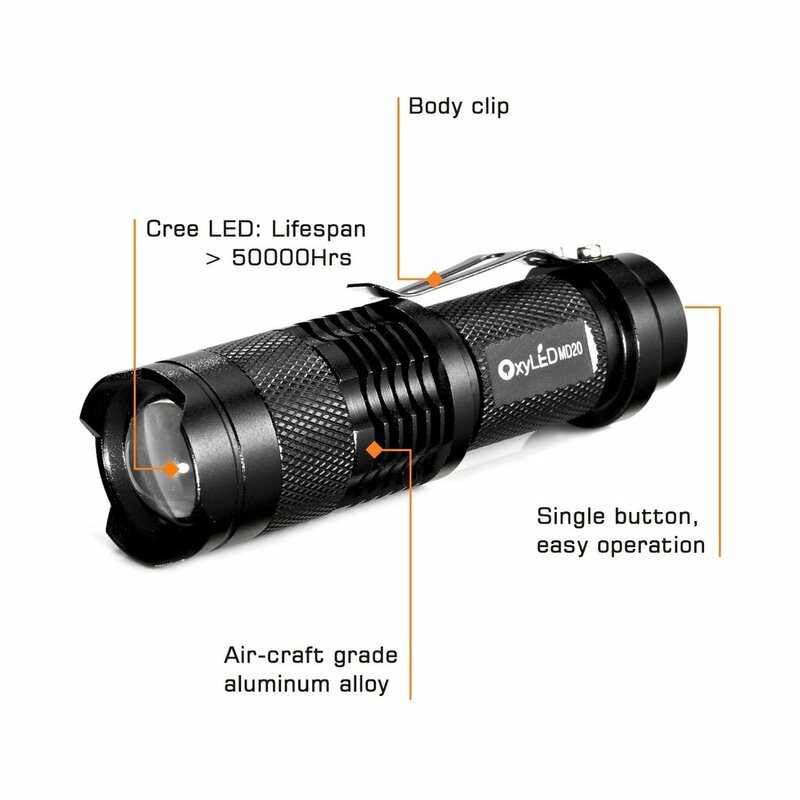 This flashlight comes with a rechargeable AA Li-ion battery plus a battery charger that plugs directly into the outlet (no cord). 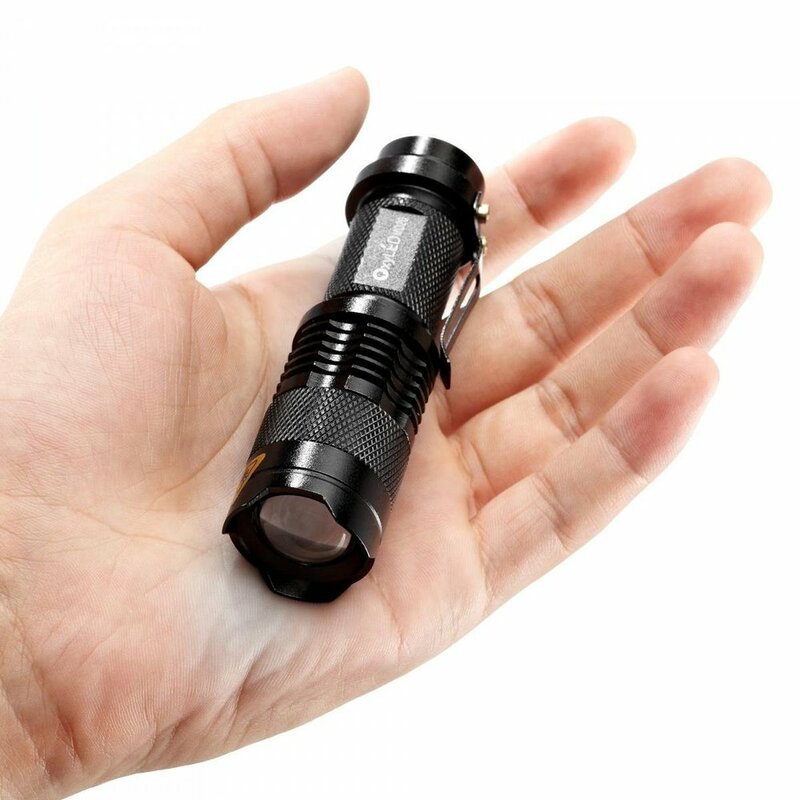 Why mess with a bulky flashlight when one as capable and bright as this one is available? And the cost is very low. It even includes a nice padded case for both the flashlight and charger.